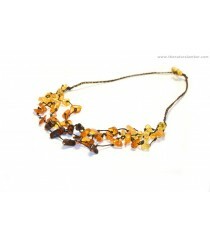 Exclusive Necklaces There are 102 products. 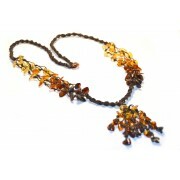 Product ID: N111; Short Description: Adult Multicolor Amber Necklace; Length: ~200 cm (79 inches); Color: Multi; Weight: 82 g; Style of Amber Beads: Chips; Amber: Polished; This necklace match well with bracelet (W122) so they can be worn as a set. 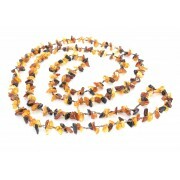 Product ID: N115; Short Description: Adult Rainbow Amber Necklace with 3 Lines; Length: ~45 cm (17.7 inches); Weight: ~17 g; Color: Rainbow; This necklace match well with Amber earrings (E105) and bracelet (W121). 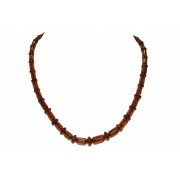 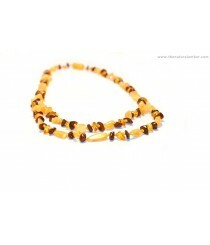 Product ID: N120, N120-1, N120-2, N120-3; Short Description: Three styles Amber Adults Necklace with narrow Beads; Amber: Polished; Length: ~45 cm (17.7 inches); Weight: ~7 g; Color: N120-1 Cherry / Lemon; N120-2 Lemon; N120-3 Multi color; This exclusive necklace match well with Amber bracelet (W115). 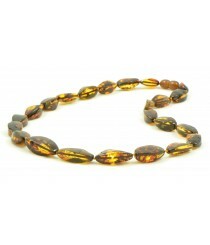 Product ID: N121; Short Description: Adult Multicolor Amber Necklace; Length: ~45 cm (18 inches); Color: Multi; Weight: ~10-12 g; Amber Beads: Polished; Clasp: Screw Plastic Clasp; It is recommended in combination with Amber bracelet (W148). 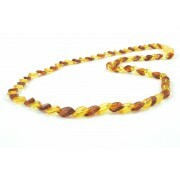 Product ID: N127; Product Description: Adult Chips and Bean (Olive) Amber Necklace; Length: ~110 cm (43 inches); Weight: ~33 g; Color: Chips - Cherry, Bean (Olive) - Lemon; It is recommended with Amber bracelet (W131). 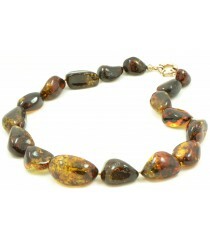 Product ID: N128; Short Description: Adult Multicolor Amber Necklace; Length: ~45 cm (17.7 inches); Weight: ~16 g; Color: Multi; It is recommended in combination with Amber bracelet (W119). 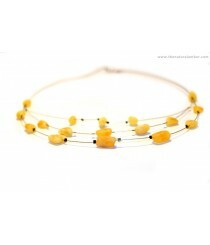 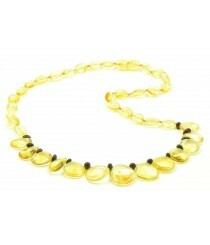 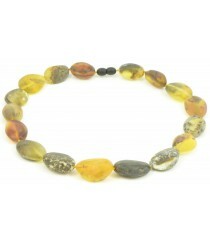 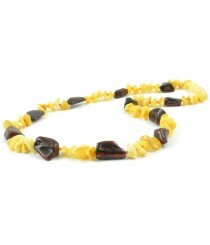 Product ID: N139; Short Description: Adult Raw (unpolished) Lemon Necklace; Length: 45 cm (18 inches); Weight: ~5 g; Color: Lemon. 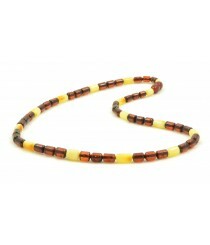 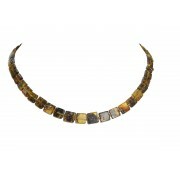 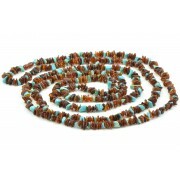 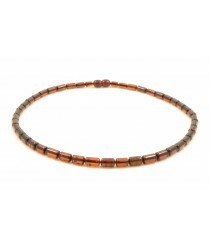 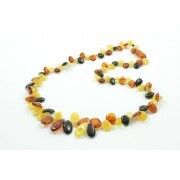 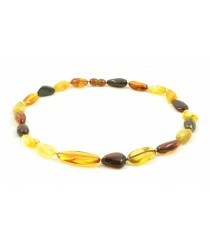 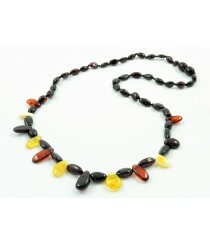 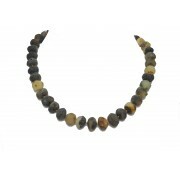 Product ID: N140; Short Description: Adult Multicolor Amber Necklace with 3 Lines; Length: ~45 cm (17.7 inches); Weight: ~6 g; Color: Multi. 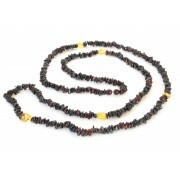 Product ID: N143; Short Description: Adult Necklace with Raw Amber stones; Length: ~48 cm (19 inches); Weight: ~40 g; Recommended set with Amber bracelet (W164) and earrings (E126). 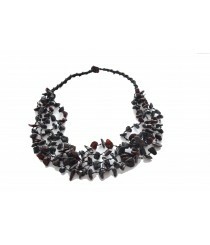 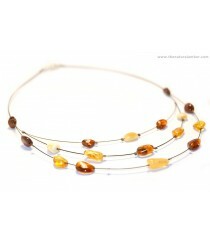 Product ID: N145; Short Description: Adult Cognac Faceted Amber Necklace; Length: ~51 cm (20 inches); Weight: ~14 g; Color of Faceted Amber: Cognac.